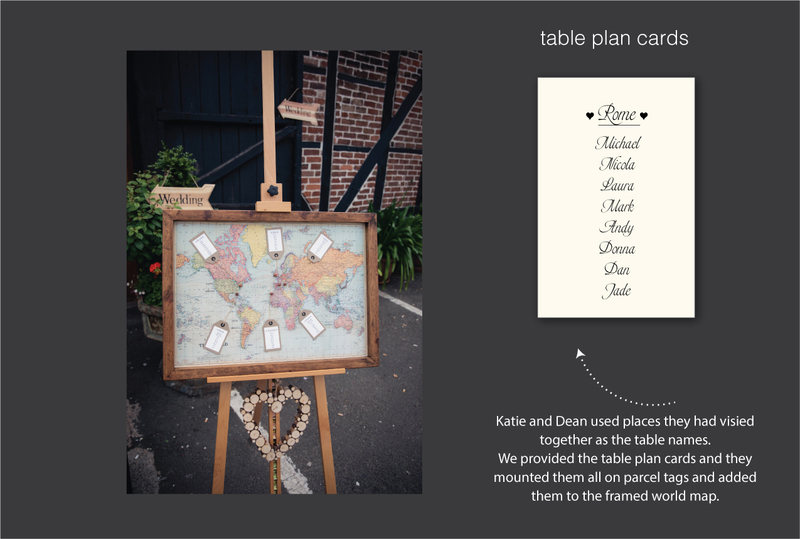 we designed all Katie and Dean’s wedding stationery and when it came to the table stationery we matched all the fonts and monogram details. They used a favourite photo taken at the wedding venue to add a lovely personal touch. 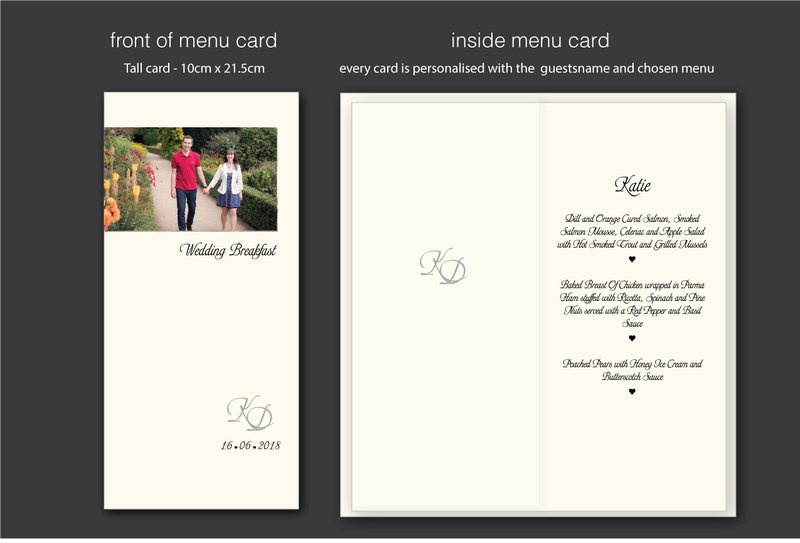 Each guest had already selected their menu choices from the wedding invitation rsvp cards, so their menu cards were personalised with the guest’s name and menu choice.